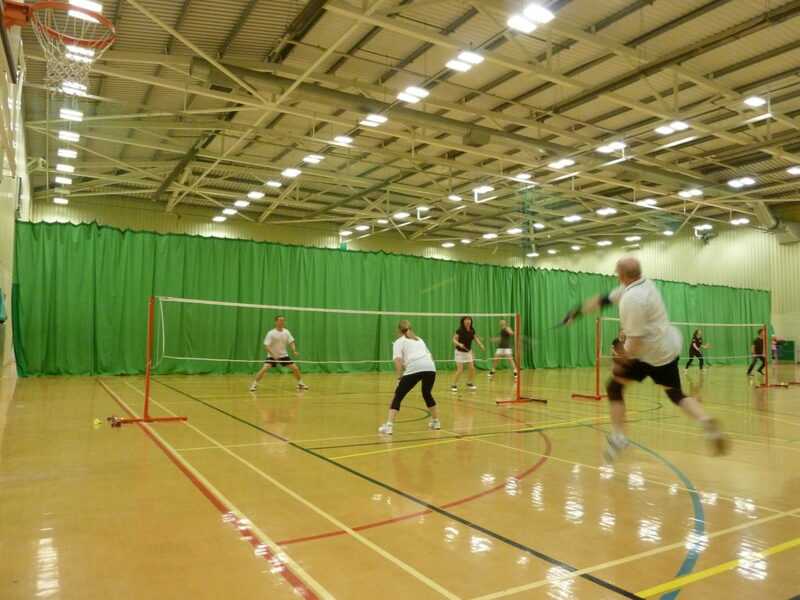 Adult Social Badminton Tournament reaches new high! “The whole tournament was played in such a friendly yet competitive spirit, that made everyone feel happy and relaxed and allowed them to enjoy the experience of playing against different people. I love being involved in these events as everyone is so nice and it is great to see such a wide age range of players of different standards competing against each other, and having fun. It is important to make everyone feel really welcome, and I think they do appreciate this. Also, we could not run these events without our wonderful volunteers who give up their time”. 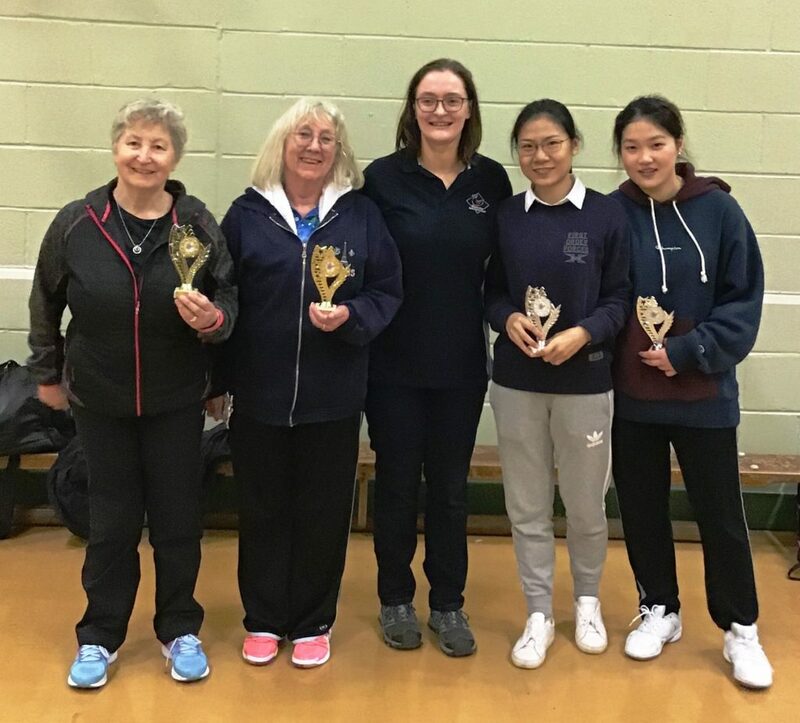 We all enjoy the day too, it’s great to see young and old playing together.” The entries included 4 pairings of parent and child, which was very good to see. Junior players blended in well, and they all enjoyed the invaluable experience of playing against adults. Jo and her partner Lillian Allison captured yet another trophy, winning the Ladies Doubles final comfortably 15-7. Their experience, against a younger pairing, was decisive. It was encouraging to see a mother and daughter pairing (Claire and Eleanor King) reach the semi-final stage. The Men’s Doubles saw many excellent, close, hard fought games, with a good number going to 15-14. The final itself, between the regular pairing of Mark Henderson and Kevin Mann against James Lin and William Yap could not have been closer, with James and William just coming out on top, 15-14! The Mixed Doubles had a maximum number of 28 couples entered, with initially 4 groups of 7. Of the 4 couples who then contested the semi-finals, 7 of the 8 players were actually aged over 50! 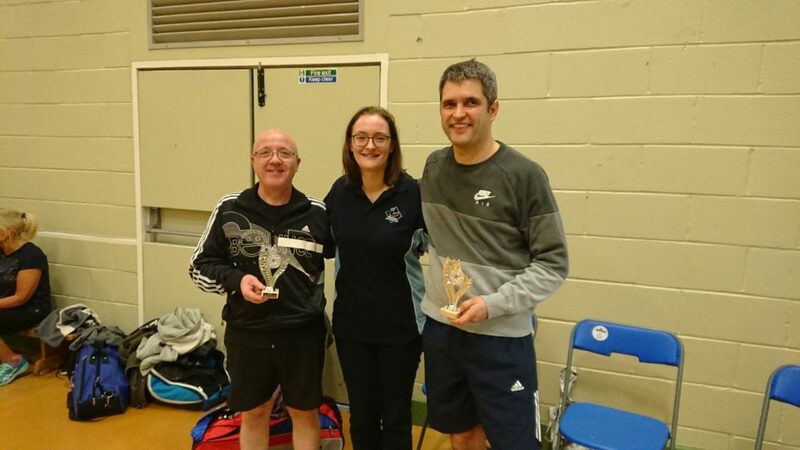 In the final, a delighted Mike Turton and his partner Honore Blenkinsopp triumphed over previous winners Jo Donaldson and Derek Gilhespie 15-10. 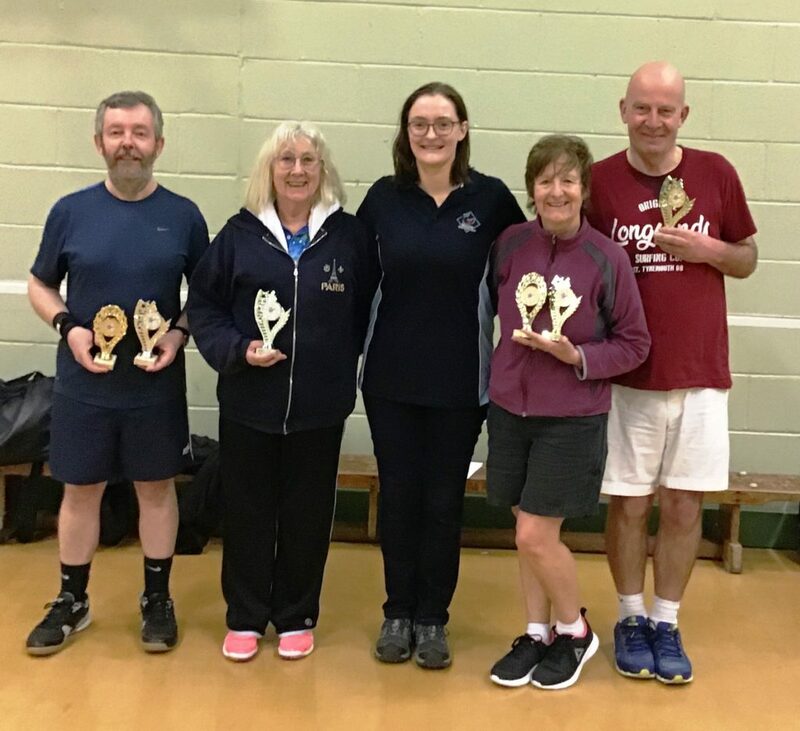 “I am flabbergasted” said Honore, after receiving not only her Mixed Doubles trophy, but also the Ladies’ award for “Outstanding Performance by an Over 50s Player” – this was her first appearance in any final! “A big thanks to you and all the rest of the organising committee for putting on such a great badminton tournament. All our group of players thoroughly enjoyed it. I honestly think it was the best ever North Tyneside event and not just because Honore and I won the mixed! There was a lovely blend of old faces and new players and everybody was so friendly and the matches were competitive but fun too and all played in the right spirit”. For more information about badminton opportunities in North Tyneside for both adults and children like the North Tyneside Badminton Partnership Facebook Page and you can also follow them on Twitter. Newcastle upon Tyne GAA Covering Cú Chulains GAA men's football and Hurling, and Caisléan Nua Tir na nóg ladies football. Private message for all fixture or membership enquiries. Congratulations to @Pam McFarlane and Vicky Kennington you have been selected as our lucky winners to receive tickets for tomorrows big match!.. NEW Wildcats sessions at Official Foxhunters Pavilion with Whitley Bay Fc Juniors. Football for girls of all standards, for ages 5-11. Whether.. The website for the English football association, The FA Cup and The England football team - Take Part | The FA thefa.com	Football for all girls of all standards, from 5 years old to 11. Whether you are new to football and would like to give it a go or if you currently play and want to further develop. The session will be fun with lots of involvement where you will meet new friends. Sport North Tyneside can help you get involved in sport in many different ways. You can find out which sport is for you at our taster sessions, make friends by joining a sports club or find voluntary opportunities near you. © Copyright Sport North Tyneside, all rights reserved.